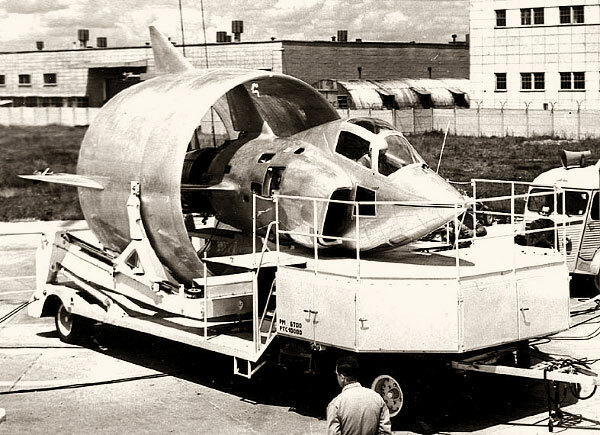 Home » Aviation Articles » History of General Aviation » Tail Sitter Aircraft: Say What? You may be familiar with tail wheel aircraft, but have you ever seen a tail sitter aircraft? During the 1940s and 50s, many airplane manufacturers were tasked with developing a ‘tail sitter’ plane, or one that rested on its tail, and could take off vertically, thus requiring no runway for landing and takeoff. The Coleoptere, preparing for launch. One of the more interesting planes was the Coleoptere1, designed by French aircraft and rocket engine manufacturer SNECMA in the 1950s. The Coleoptere sported an annular, or closed, wing design that was 10.5 feet in diameter, surrounding a 22-foot long fuselage. 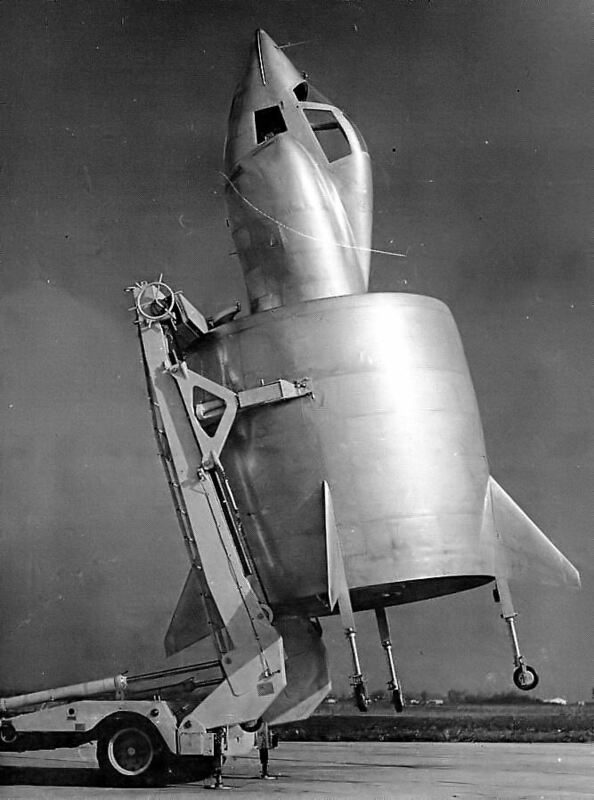 The wings had four small stabilizing fins and castoring wheels, and the whole plane was powered by an Atar 101E engine which was capable of 7,700 pounds of thrust. The Coleoptere, being pulled out onto the runway. Despite the prototype’s long and difficult development process, plagued with problems such as intense engine vibrations interfering with radio communications, the Coleoptere finally reached a flyable state. On the 17th of April, 1959, the Coleoptere achieved its first successful tethered flight. A few weeks later, on May 3rd, the Coleoptere was able to achieve its first free hover, lasting for three and a half minutes. However, a few months later, on July 25th, 1959, disaster struck. 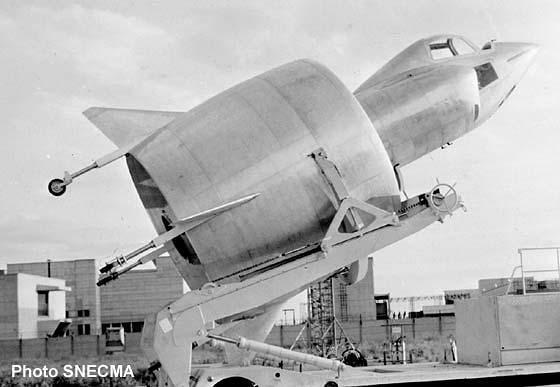 The SNECMA Coleoptere being raised into position. 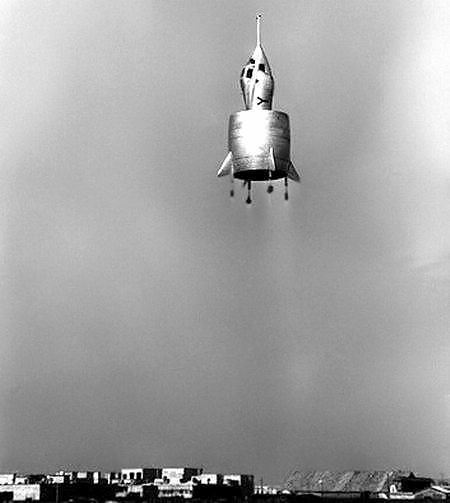 For its ninth flight, the Coleoptere was supposed to take off, achieve an altitude of 2000 feet, transition from a vertical orientation to roughly a 36 degree orientation, and then return to a vertical orientation before hovering, and descending for a landing. Unfortunately, the Coleoptere was unable to establish a hover, and instead oscillated rapidly around all three axes as it plummeted towards the earth. These random rotations kept the pilot from ejecting until the craft was a mere 150 feet from the ground, and the pilot ended up being badly injured as a result. The Coleoptere, never quite able to complete the transition back, crashed into the ground. This crash ended the development and research into this particular plane, and the Coleoptere joined a host of fascinating but ultimately flawed experimental aircraft. 1 Coleoptere means ‘Beetle’ in French, descended from Greek for ‘sheathed wing’.